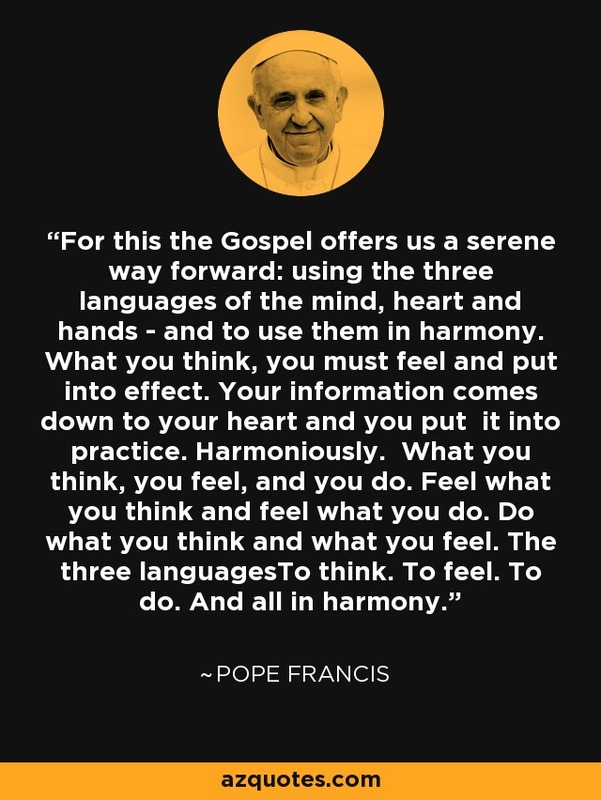 For this the Gospel offers us a serene way forward: using the three languages of the mind, heart and hands - and to use them in harmony. What you think, you must feel and put into effect. Your information comes down to your heart and you put it into practice. Harmoniously. What you think, you feel, and you do. Feel what you think and feel what you do. Do what you think and what you feel. The three languagesTo think. To feel. To do. And all in harmony.